Karen Pokras Toz has been featured on my blog several times and my niece has reviewed her books, Pie and Other Brilliant Ideas is my first introduction to Karen's writing. I can see why she is an award winning children's author. Pie and Other Brilliant Ideas would be enjoyed by children in grades 4th through 6th. I could very well see this book being a favorite of mine when I was that age. Georgie's family has moved to be closer to her grandmother who lives in a nursing home. Unfortunately, the move has meant not only leaving her best friend, but having to give up ballet lessons. I remember when we moved to Georgia and I was worried that I wouldn't be able to continue with gymnastics. Georgie spends her extra time visiting her grandmother and baking pies. Her grandmother gets a new roommate who happened to have danced with a world renown ballet company in Russia. 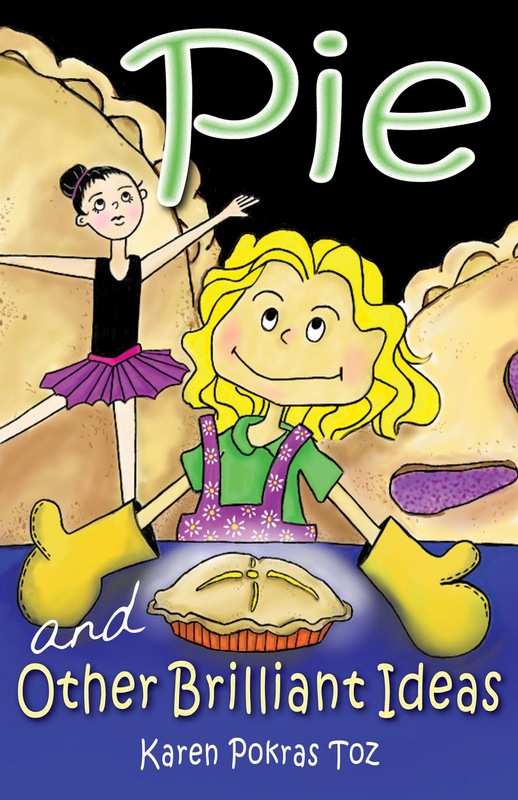 Listening to her stories about dancing with Georgie's idol, has made Georgie even more determined to find a way to pay for her ballet lessons. Hilarity ensues with her money making schemes. As an adult, I could so see the outcome coming, but I can still remember my own early entrepreneurial attempts and I think Karen did a great job of capturing the gung ho spirit of determined pre-teens. A great book for kids who are struggling with changes in their own lives and learning about perseverance. Girl Who Reads is an Amazon advertising affiliate; a small fee is earned when purchases are made at Amazon through the link above. A free ebook was provided by the source.